Gravity is the killer when it comes to sleeping on your face. All the fluids in your face drop down. We know how that looks like: a bloated face with swollen eyes. 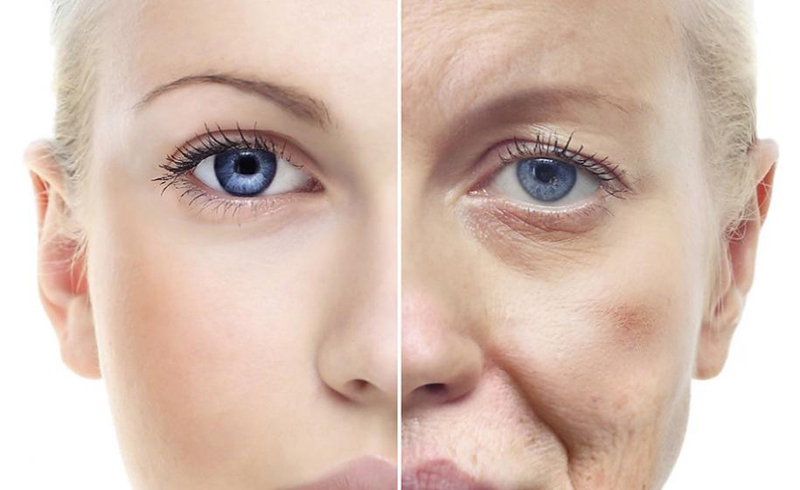 In the long term, it reduces the amount of collagen in the skin, which makes the skin less elastic. Although you may not always be keen on washing your face, it is very important to do so before you go to sleep each and every evening. If you don't remove all the dirt, sweat and make-up from your face, your pores get blocked and you run the risk of digging out those dreaded blackheads. Using too many different skin products without knowing how they react to one another, can damage the skin. Mixing products can lead to dry and irritated skin. For example, products that contain retinol are used to prevent wrinkles, and when mixed with products with benzoyl peroxide to fight acne, it can make your skin dry and increase skin irritation. Before you know, small wrinkles will show up. Water is sacred for the skin. Hydration keeps the skin firm and elastic. Short term dehydration results in a hollow-eyed face with wrinkled skin around the eyes. Long-term dehydration can lead to permanent loss of elasticity of the skin. So, don't sleep on your face, mix too many products, but drink plenty of water and wash your face at night and you too can stay forever young!